You’re eye doctor hands you a new prescription for eyeglasses…now what? It can be daunting with all of the options for eyewear in Stuart. How do you know who to trust or where to go to get a great looking pair of glasses that you can see well out of? The first consideration is what type of eyewear will best suit your needs. Does having one pair of glasses that can function indoors with a polarized clip-on for outdoors sound best? Or perhaps, photocromatic lenses that change automatically from clear glasses into sunglasses sounds like the way to go? With so many options available to fit every need and lifestyle, it’s best to speak to a Florida Licensed Optician who can help to asses your prescription eyewear needs. Come check out our unique location and browse over 2,000 square feet of eyeglass frames. 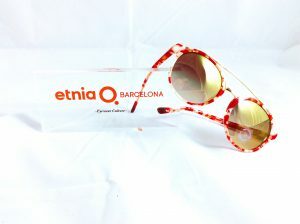 Our most popular brands include Rayban, Oakley, Costa Del Mar, Toms Eyewear, Etnia, Kawasaki Eyewear, and iGreen. For ease of shopping we have our eyewear collections displayed by color. One of our three Opticians or sales consultants will be happy to help you find the best eyewear for your face shape, complexion, and budget. To complete your new eyewear Crizal non-glare will come standard on your lenses, because as Opticians, your vision matters most. Visit us for best eyewear service in Stuart, FL.